The NFL season kicked off with its pre-season games last night. One of the most-watched aspects of the games was not necessarily the games themselves; but an accounting of which players would summon their courage and engage in protest during the national anthem. While a relatively small percentage of the league as a whole, a number of players knelt, raised a fist, or remained in the tunnel. After the leaking of the Miami Dolphins’ draconian anthem policy, the NFL initiated a moratorium on implementation of the penalty portion of its new anthem policy, though not the policy itself. Players who protested included Kenny Still, Robert Quinn, and Albert Wilson of the Miami Dolphins; Malcolm Jenkins, Michael Bennett, and DeVante Bausby of the Philadelphia Eagles; and players from the Seattle Seahawks, New York Giants, and Jacksonville Jaguars. 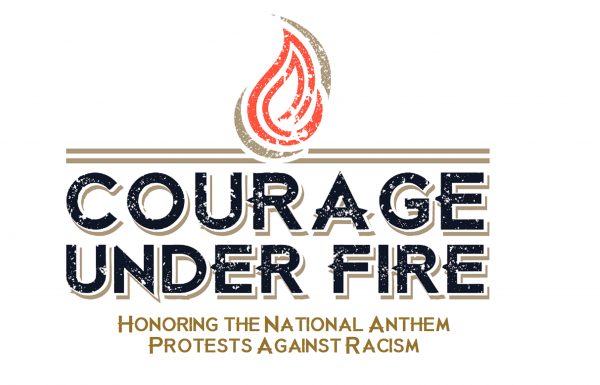 Over the next few days, Courage Under Fire will update its heroes section to include these men of courage and conviction. Stay tuned. Article below by Lindsay H. Jones at usatoday.com. Miami Dolphins wide receivers Kenny Stills and Albert Wilson took a knee during the national anthem before their team’s preseason opener Thursday night against the Tampa Bay Buccaneers, becoming the first players to do so in the lead-up to the 2018 season.